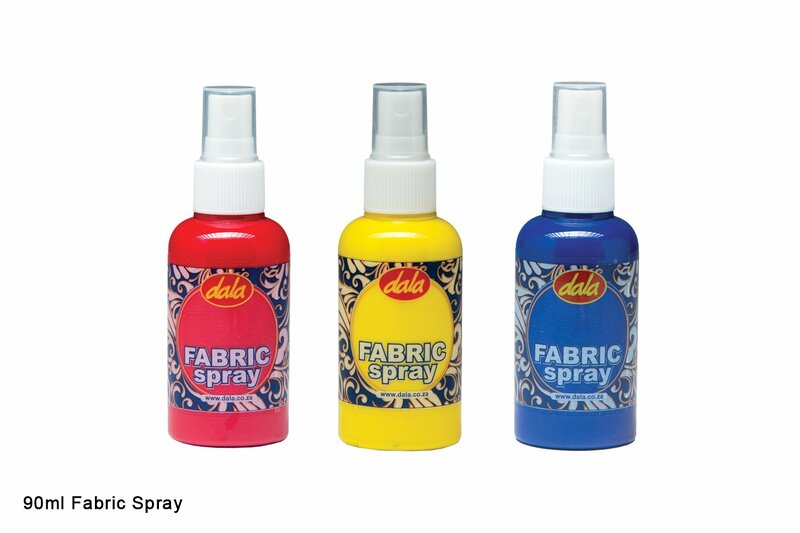 Dala Fabric Spray is a liquid colour product that enables you to create interesting designs on fabric. 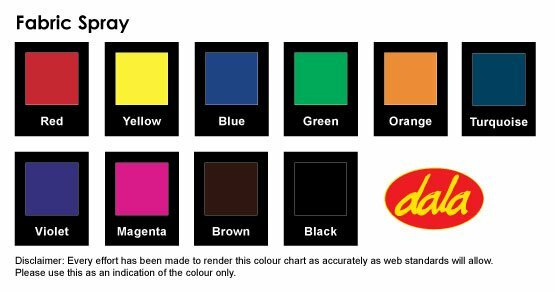 Perfect for working with stencils, tie dye projects or free hand designs. Please Note: Needs to be heat set. Work on a protected surface in a well ventillated area. Ensure your garment or fabric is clean and dry. If using a T-shirt, you may want to place a protective sheet of plastic inside the shirt if only spraying one side. If using a stencil - position in place and ensure that masking is waterproof. Spray the colour from at least 20cm away and allow to dry. Dye may be washed out when wet. Once dry, make permanent by ironing on the reverse side of the fabric to heat set. Flip bottle upside down and spray out the residue to keep the nozzle free from clogging. *Clean up using soap and warm water. This item has 3882 views.